Escola Internacional del Camp offers the International Baccalaureate (IB) Diploma Program. This is a comprehensive, two-year long demanding pre-university program that is well known internationally for its quality and prestige. 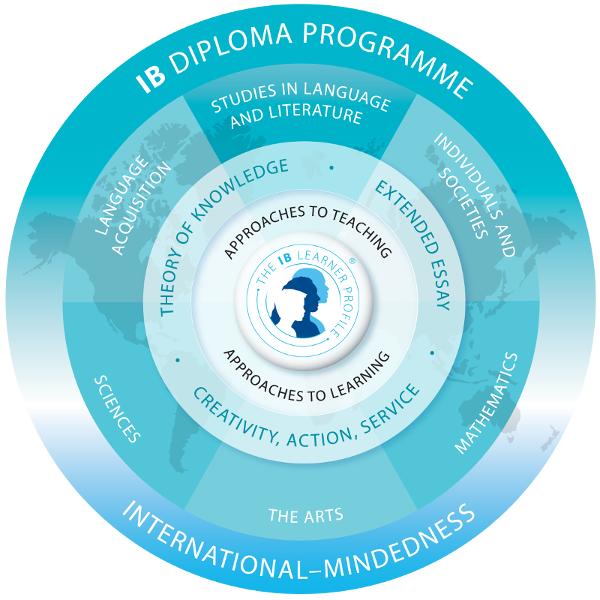 The IB curriculum is broad, rigorous and balanced, and offers a solid base from which to undertake university studies. The Diploma's international recognition facilitates student international mobility and their access to foreign universities. Furthermore, the program's prestige makes it easier for students to get admitted to the world's top universities. The program's curriculum is constantly being revised and adapted to current needs. All the Diploma's teachers also undergo a rigorous screening and quality control process. The students develop a set of skills that are often ignored in traditional baccalaureate programs, such as oral and written expression, critical thinking, academic writing or research, among others. Students must take six subjects (three of which at high level, the other three at standard level). These six subjects give students a solid base from which to undertake university studies. Moreover, the students must also enroll in three interdisciplinary components, designed to develop the students' analytical reflection, creativity and research skills. Is it possible to also study the traditional Spanish baccalaureate? For routes B and C, the students have more teaching hours because, even though IB and bachillerato subjects overlap in many instances, extra class hours are required. What is the IB student profile? The goal of the IB is that our students be inquirers, knowledgeable, thinkers, communicators, principled, open-minded, caring, risk-takers, balanced, and reflective.